Fresh Ink! 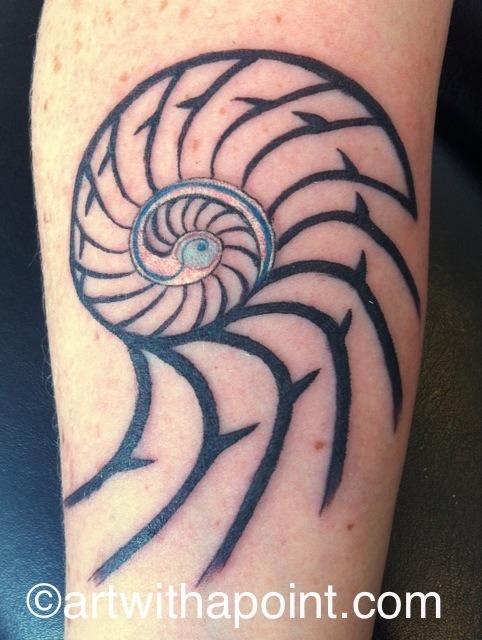 An abstract spin on the Nautilus! 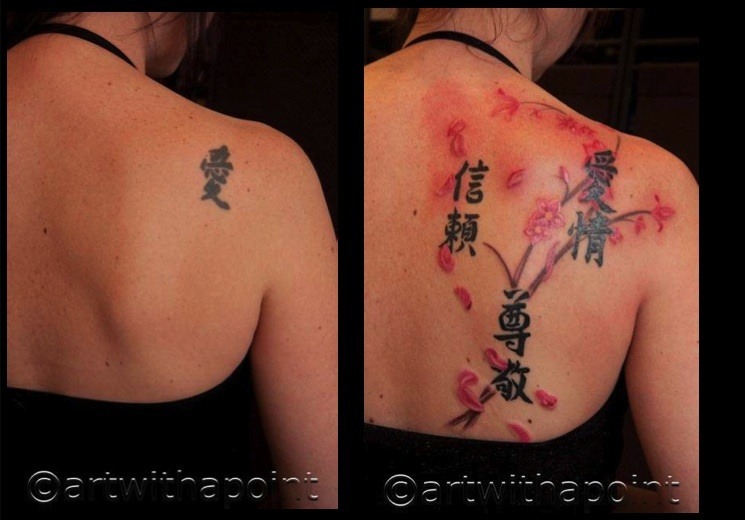 From the AWP archives, a couple of examples of Cherry Blossoms! 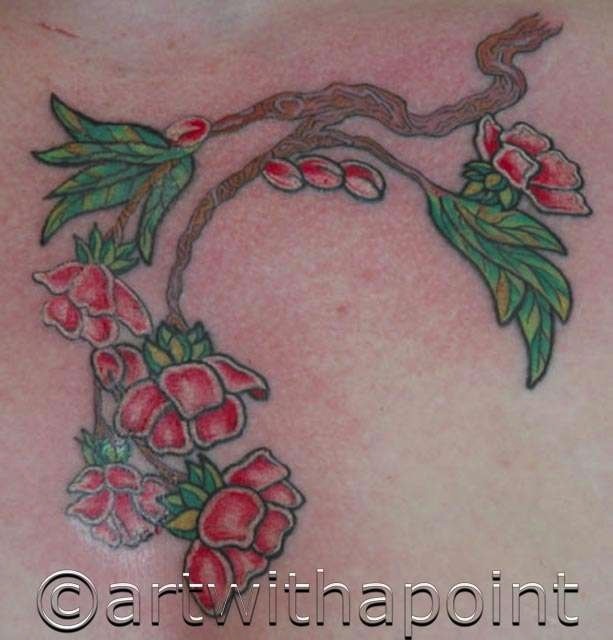 Above is Paul’s interpretation of a Cherry Blossom bough, vibrant with color and detail! 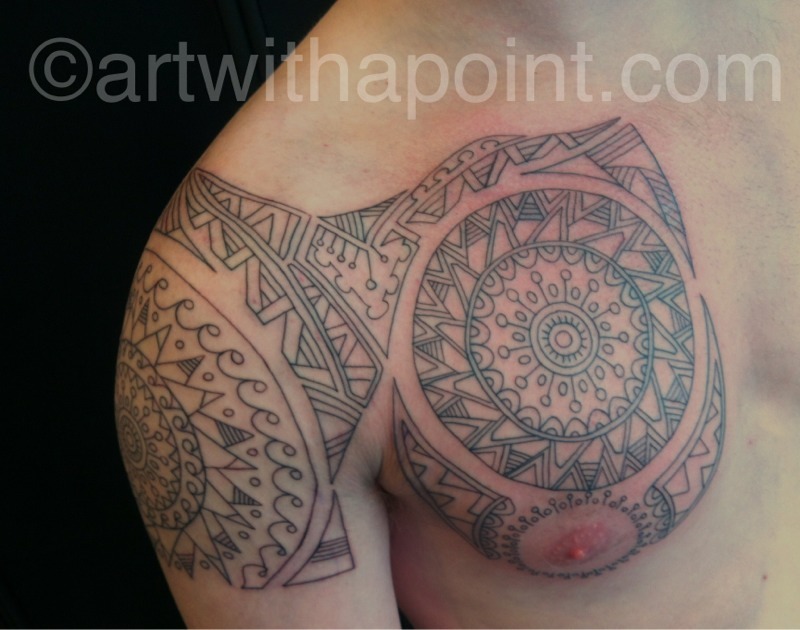 And the piece below shows that your tattoo can always evolve with you! 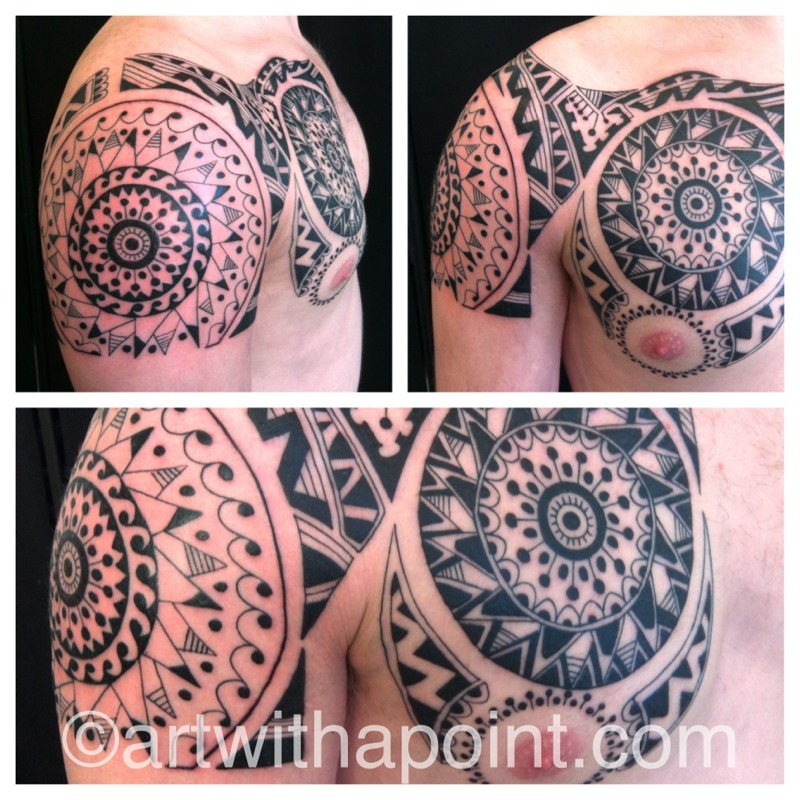 Joe’s tattoo from 2011, back for a visit and looking Suh-WEET! Off the hook! 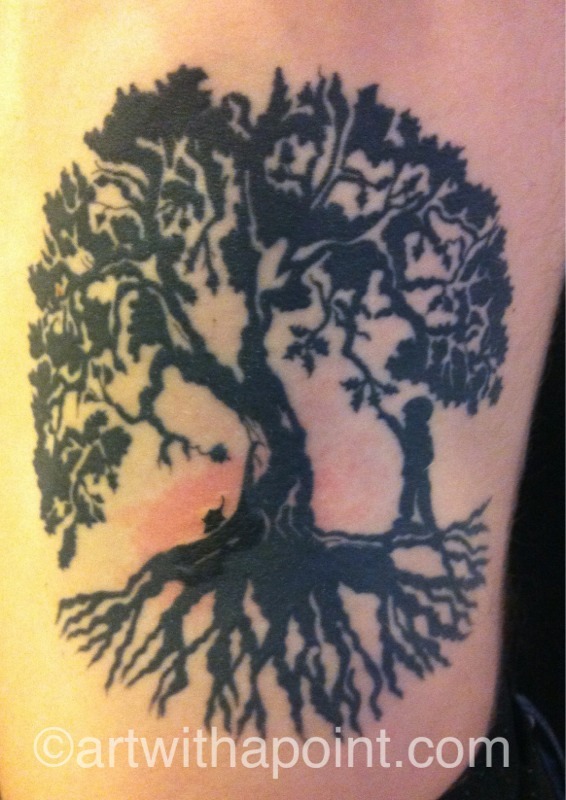 Andrew’s first (FIRST) tattoo! WHOOP! That was fun! Go big or go home! Andrew rocked his first tattoo! (Even dozed a little.). We’ll add black highlights and fill in a couple of weeks.